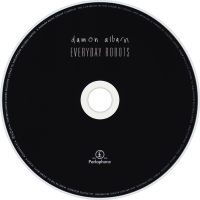 Everyday Robots is the debut solo studio album by British musician Damon Albarn, best known as the frontman of Blur and Gorillaz. Described by Albarn as his "most personal record", the album was co-produced by Richard Russell and released on 25 April 2014. It features guest contributions from musician and producer Brian Eno, singer Natasha Khan and the Leytonstone City Mission Choir. It was nominated for the 2014 Mercury Prize for best album. The album produced five singles: "Everyday Robots", "Lonely Press Play", "Hollow Ponds", US-only release "Mr Tembo", and "Heavy Seas of Love". Everyday Robots received positive reviews from music critics, and debuted at number two on the UK Albums Chart. The album was first announced in September 2011, when Albarn had confirmed he was working on a solo studio album to be released under his own name. He also stated that the concept of which is supposed to revolve around "empty club music". In a 2013 interview with Rolling Stone magazine, he said that the record would have a sound that he describes as a combination folk music and soul music. He also stated that he will be taking his album on tour, during which he will play songs from all of his other bands, such as Blur, Gorillaz and The Good, the Bad & the Queen. In May 2012, Albarn told NME that he was recording a new solo studio album. Asked what he was currently working on, Albarn said: "This week we're mucking around with these Russian synthesizers in a very loose mind of doing some kind of record under my name. I suppose you could call it a solo record, but I don't like that word. It sounds very lonely – solo. I don't really want to be solo in my life. But yeah, I'm making another record." 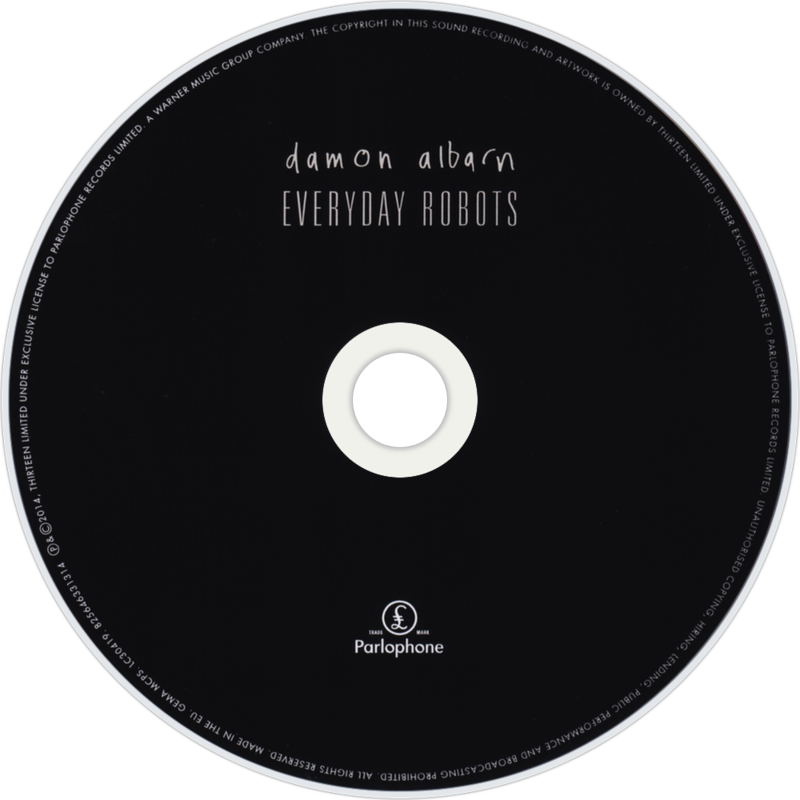 On 18 January 2014, the Warner Music Store was updated to include Damon Albarn's new album and its name was revealed – Everyday Robots, which is also the name of the first single, set to be released as a limited edition 7" vinyl on 3 March along with a non-album B-side, "Electric Fences". The deluxe edition of the album will come packaged with a DVD of Albarn performing a few album tracks live at Fox Studios in Los Angeles. The DVD was filmed on 3 December 2013. Albarn himself said in his official Facebook page that this record is his most soul-searching and autobiographical yet, explores nature versus technology and features guests Brian Eno and Natasha Khan, also known professionally as Bat for Lashes. The official promo video for the first single, "Everyday Robots", was directed by artist and designer Aitor Throup, and posted on the singer's YouTube page on 20 January. The album was made available for free streaming on iTunes on Tuesday 22 April 2014, whereby people could listen to the standard edition of the album in its entirety, which is a similar strategy used by Justin Timberlake for his albums The 20/20 Experience & The 20/20 Experience 2 of 2 and Daft Punk's Random Access Memories.